To Understand Your Customer Experience, Experience Being Your Customer – Kent Huffman: Marketing. Branding. Strategy. Tactics. Results. 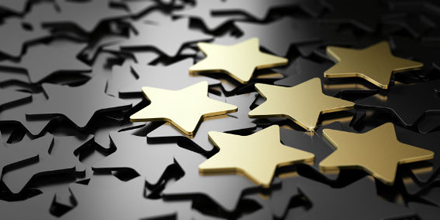 How do you ensure your customers are receiving five-star service? Find out by becoming your own customer. I know that title is a bit of a tongue twister, but it’ll make more sense to you after you read this post—at least, I hope it will. There is an ever-greater emphasis on improving the customer experience as competition intensifies, margins shrink, and buyers more actively compare suppliers. In this digital and social age we now live in, based on their last interaction, your customers are probably sharing how your company treated them—positively, negatively, or indifferently. To drive a stronger customer experience, most organizations have a wealth of touch points they can use to build brand, make impressions, create a positive image, and sell products and services. Those touch points often include advertising, PR, branding, point of sale, packaging, web presence, and the like. Other touch points that can build or erode image are less obvious. Communications such as customer service interactions, invoice mailers, product packaging (including what comes in the box), on-hold phone messages, and facility signage all come to mind. You can probably think of many more. When considering the topic for this post, it came to mind that many times, marketing leaders rely only on what they are told about the customer experience. I’m advocating that we become customers ourselves and evaluate the experience from a first-hand perspective. Buy your own product or service online or through the sales process. Is it easy to navigate the system? Do you fully understand what is offered? Are accessories or add-ons offered in a logical way and easy to include in your order? What did you receive if you asked for shipping to your home or another location? Call your customer service department with a problem. How is the on-hold and call routing experience? How are you treated? Are the answers to your questions clear and consistent each time? Are the agents well trained? Do they understand and communicate your organization’s brand promise? Walk into your lobby. What do you notice first? What is your overall impression? Is there anything that effectively portrays what your organization does and how you do it? Would anyone want to do business with you? To illustrate the power of evaluating the customer experience for yourself, I’d like to share a personal example of an experience I had with a very large mortgage provider. There is no way that routine satisfaction surveys, call tracking metrics, or agent recordings would have convinced that company’s decision makers that there was an urgent need for an overhaul if they didn’t go through the process themselves. Here’s what happened: On a vacation day, I wanted to ask a seemingly simple escrow-related question, so I called my mortgage service provider using the published 800 number. I listened and responded to countless auto-attendant messages that directed my call. Then I talked to four or more agents, having to start anew every time. At least three times, I was given another 800 number at a different service center where I had to call and restart the process. In all, I spent nearly an hour working through the process. Since no one had been rude, uninformed, or uncaring, I wasn’t mad, but more puzzled and bemused at how difficult this had been. Altruistically wanting to save future customers from this same experience, I asked to speak to a Vice President. It was not my intent to yell or complain, but merely to let him or her know of this wasted effort on both sides. My belief was that if someone (me) told them what had just happened in an informative way, they would want to fix it. I can’t help but think if they had experienced this same run-around for themselves as a customer, they would be motivated to solve the issues. To end this story, the final customer service rep seemed to make every effort to find the elusive VP, only to return and tell me that she was in a meeting. So I gave up. What’s the moral of the story? Instead of just meeting, talking about, and guessing what the customer experience is, make it a point to experience being your customer, so you can better understand your customer experience. You may be delighted or disappointed with the results, but either way, you’ll be a much more effective champion for the voice of the customer within your organization.